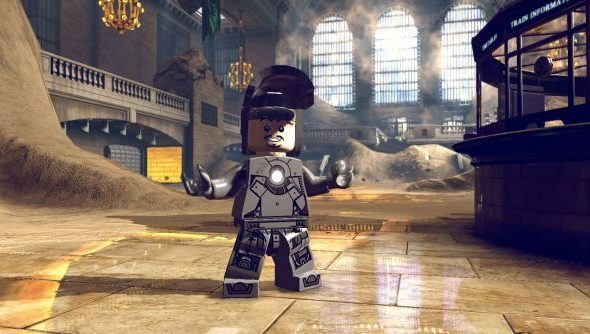 Lego Marvel Super Heroes is not to be confused with Marvel Heroes – but then again, it’s not likely to be. Where in Gazillion’s po-faced Diablo-like MMO, polished and frantic though it is, can you Hulk out as Spider-Man originator Stan Lee? Or smash a ne’er-do-well into seven or eight plastic pieces? Traveller’s Tales have been developing Lego games for the longest time, but only in the most recent have they embraced true open worlds and fully-voiced dialogue. I’m a fan of both – you can decide your own position on the matter by downloading a trial version of the new game from the studio’s site. Let us know your thoughts in the comments. The demo segment of the game features Hulk, Iron Man, Abomination, Sandman, and a toytown version of Manhattan. The game itself will be released on 15th November in the UK.